 Posted on Ninja Updates! Huge News! Our REALTOR® Websites Are Now Available In Most Of Canada! Great News! We now have access to real estate listing data from over 80 of the top Canadian real estate boards! That means we’re finally able to offer our world-class MLS® powered websites to almost all Canadian real estate agents! Click here for a full list of boards we are now integrated with and sign up for a website today (if you haven’t already). 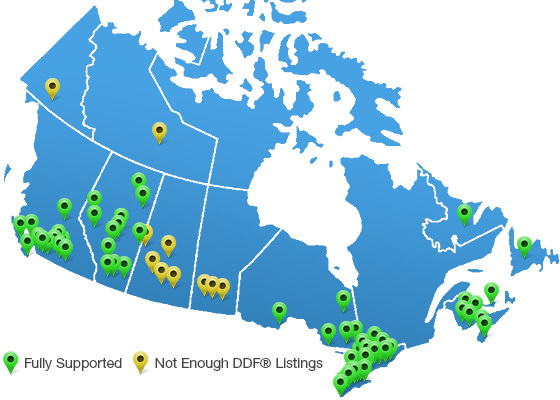 This is thanks to the magic of the CREA® DDF® platform, in addition to our existing direct IDX/Reciprocity integration with major metropolitan boards such as Greater Vancouver, Fraser Valley, Chilliwack, Vancouver Island, Victoria, Calgary, Edmonton and Toronto. On the data front for Greater Vancouver and Edmonton area boards, we’re gearing up for the switch-over to the new Paragon MLS® system and will announce that as soon as it’s ready. We look forward to a smooth transition without interruption but our team is prepared to handle any hiccups that may arise. We’re also working on exciting new SEO functionality that will help your website dominate online, better lead capture and CRM integration, new mobile-friendly themes and more modern marketing services! We can’t wait to show you what we’re working on! Stay tuned for more updates from your friendly neighbourhood ninjas.